Winner’s Choice Raffle – Tickets are available now! 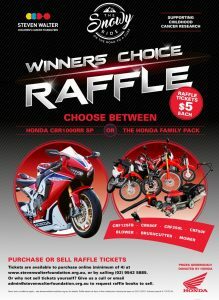 Tickets are now available for our new & exciting WINNER’S CHOICE RAFFLE. 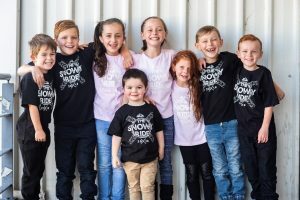 Why not request a book or books to sell among family, friends & work colleagues, to help us sell all the tickets & make a really big difference for kids with cancer! Available online now here, contact the office on 02 9542 5885 or email us. 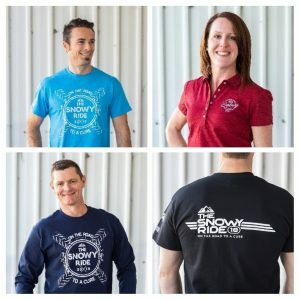 Entries are OPEN for the Honda Snowy Ride 2018. 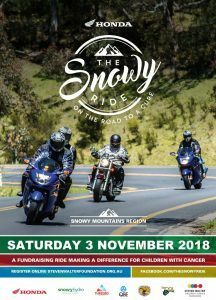 Avoid the queues in Cooma or Thredbo and register online, your entry is automatically in the major prize draw for the Africa Twin, even if you can’t make it to the Ride, and more importantly, your $60 entry fee goes straight into supporting childhood cancer research. Click here to register now! 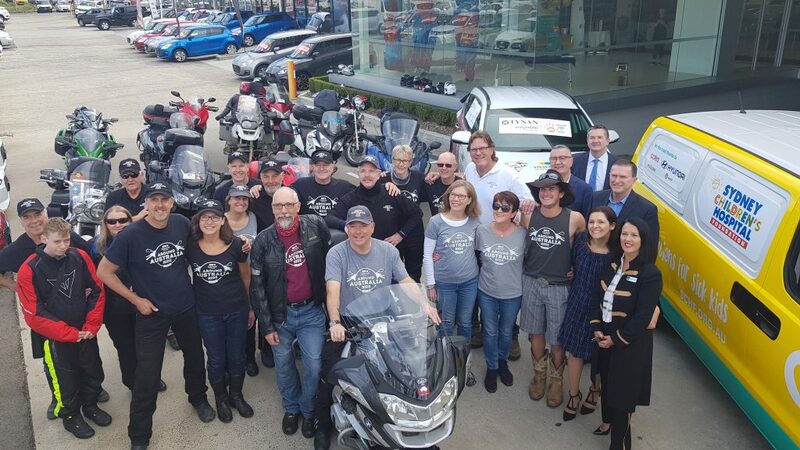 They’re home safe and we’re over the moon to announce that the 2018 Around Australia Ride raised an amazing $110,000 for childhood cancer research! 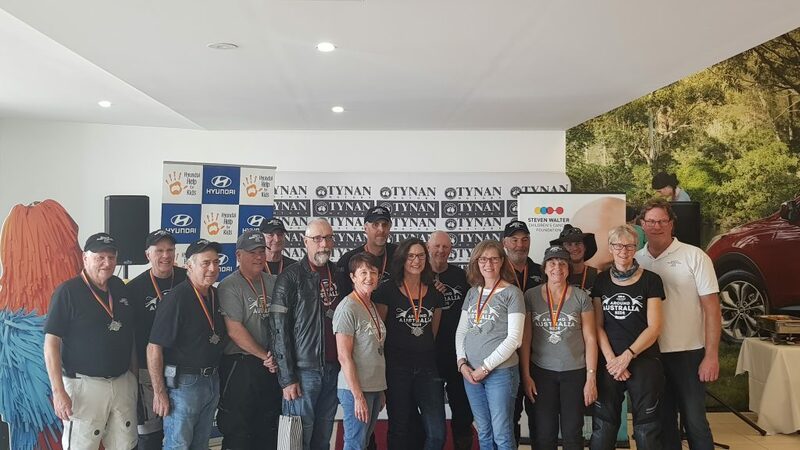 Our crew received a warm welcome at Tynan Motors Hyundai this afternoon, completing the 15,000km marathon motorcycle ride which kicked off last month in Tamworth. 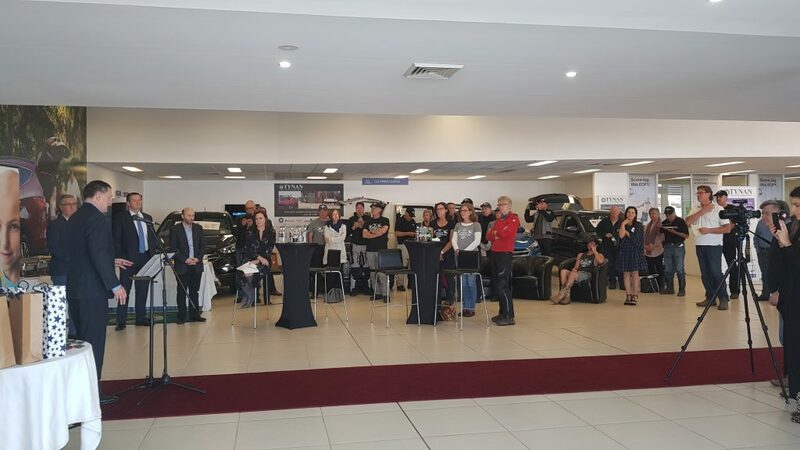 Huge thanks to Tynan Motors for hosting the welcome, to our fantastic sponsor and supplier of our two support vehicles, Hyundai Help for Kidsand Hyundai Australia as well as the family, friends and supporters who made it a special homecoming. And last but definitely not least – a huge congratulations to the wonderful crew of riders, pillions and support crew on this amazing achievement!